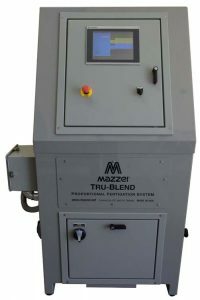 Mazzei Tru-Blend™… applying the precise dose of nutrients at every stage of the growth cycle, enhancing crop quality, and eliminating waste while protecting our soil and water resources. Tru-Blend is easy to use—adjust the crop nutrient plan during the season with a simple, easy to use interface. And since Mazzei venturi injectors are used, you are assured that the nutrients are uniformly distributed throughout the irrigation water, and thus, evenly distributed throughout the field. The large 10-inch touchscreen allows the operator to control/monitor up to 5 independent fertigation/chemigation inputs. Whether using a custom nutrition blend or one of the auto populated alternatives available via hot buttons, Tru-Blend has an option that will fit your needs. The screen progression is intuitive and uses common terms and standard inputs. The touchscreen text is available in English or Spanish and units are in imperial or metric. Product is calculated in either pounds per acre or parts per million. Whichever you choose, Tru-Blend is easy to use. If your conditions change, Tru-Blend is adaptable and allows for quick and efficient infield—or remote—modifications. Mazzei Tru-Blend Proportional Fertigation System can be utilized in a wide range of irrigation systems from those with flows of 150 GPM to those of 4,000 GPM. Tru-Blend automatically records what was used in each field—remembering the amounts and kinds of nutrients used—and the historization logs are easy to download assisting growers when compiling reports. The control system employs multiple safeguards to prevent damage to the crop and the environment. 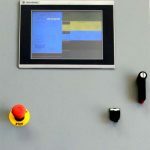 A system of sensors and automatic shutdown valves, as well as operation alerts and alarms, helps to insure safe and accurate operation.